It’s Monday, which for a lot of people means an early morning wakeup call and the daunting task of responding to a weekend’s worth of emails. But what’s the fun in that? When it comes to a new week, we prefer to tackle it with a little something positive to look forward to. For us, that means looking at it as the first of five opportunities to try out a new outfit. And Monday morning is the perfect time to re-up our wardrobe essentials. A really well-fitting pair of jeans and classic black boots should never be overlooked. Sure, an animal print pair of boots and a highlighter puffer might be fun to don at Saturday brunch, but for running errands, work meetings and casual dinners with friends, there’s nothing you’ll go to more than the essentials. So, to simplify the daunting task of finding the perfect white tee or an every-occasion trench coat, we’ve rounded up 15 wardrobe must-haves for you to buy now. The ever-flattering wrap top is a must-have in any wardrobe. H&M Plus Plus-Size Wrapover Top, $14.99, available at H&MPhoto Courtesy of H&M. Who else can’t wait for spring? Zara Strappy Mid-Heel Leather Sandals, $79.9, available at ZaraPhoto Courtesy of Zara. High-waisted stretch denim that feels like you’re getting a perpetual hug. 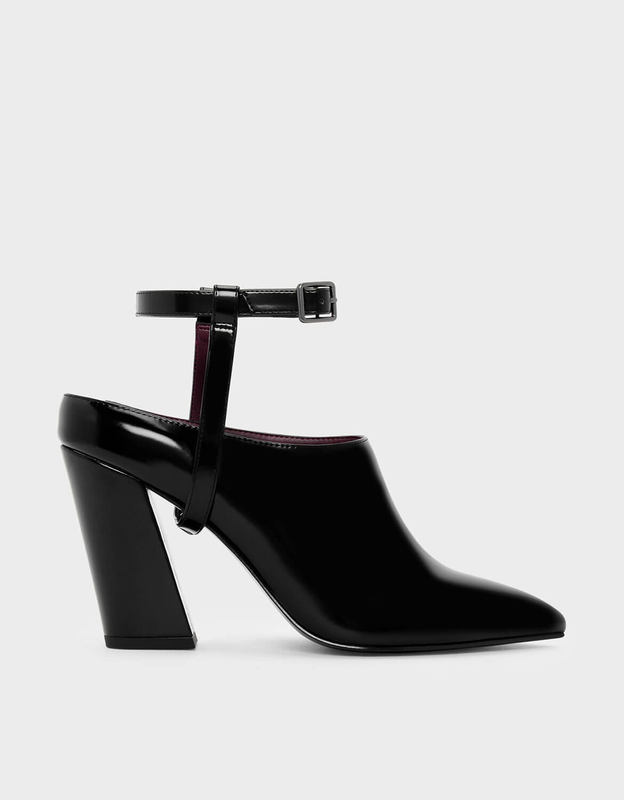 These patent leather mules are the perfect two-in-one heels your closet needs. Just remove the straps for a simpler take. 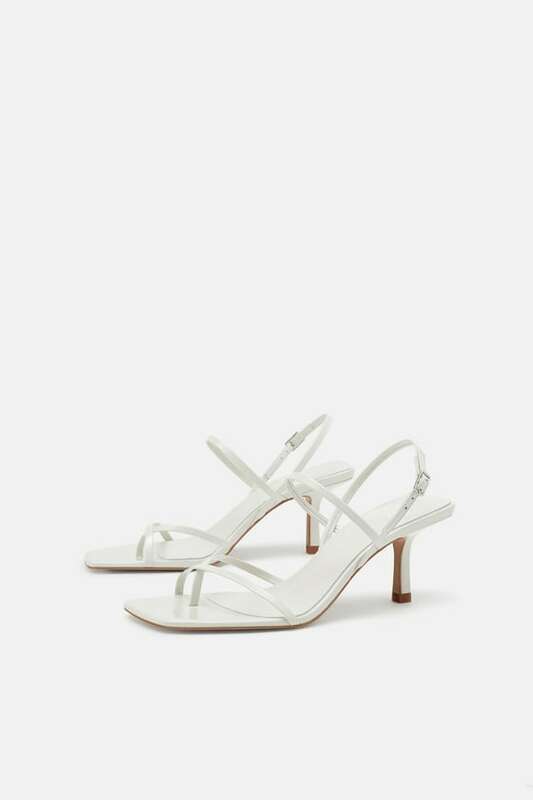 Charles & Keith Two-Way Pointed Mules, $69, available at Charles & KeithPhoto Courtesy of Charles & Keith. A hooded trench coat? We think yes! 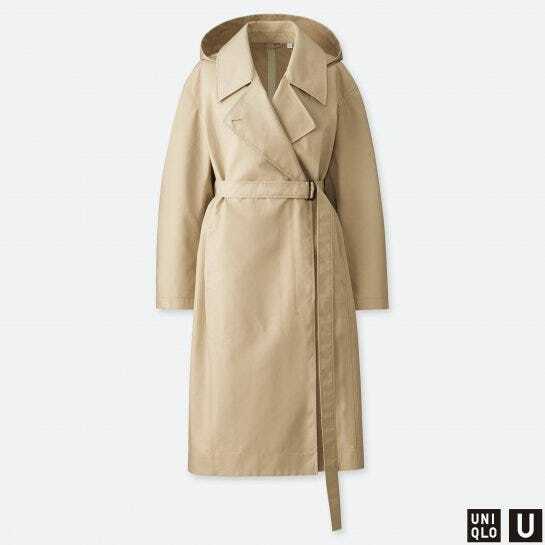 Uniqlo U Blocktech Trench Coat, $109.9, available at UniqloPhoto Courtesy of Uniqlo. According to our experts (a.k.a. R29 stylist, Michelle Li) this tee got a raving five stars. 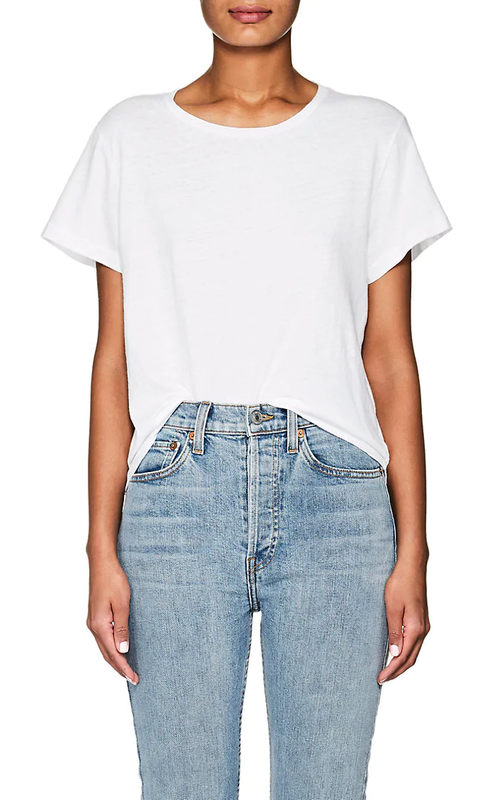 RE/DONE Cotton Jersey Classic Tee, $78, available at Barneys New YorkPhoto Courtesy of Barneys New York. 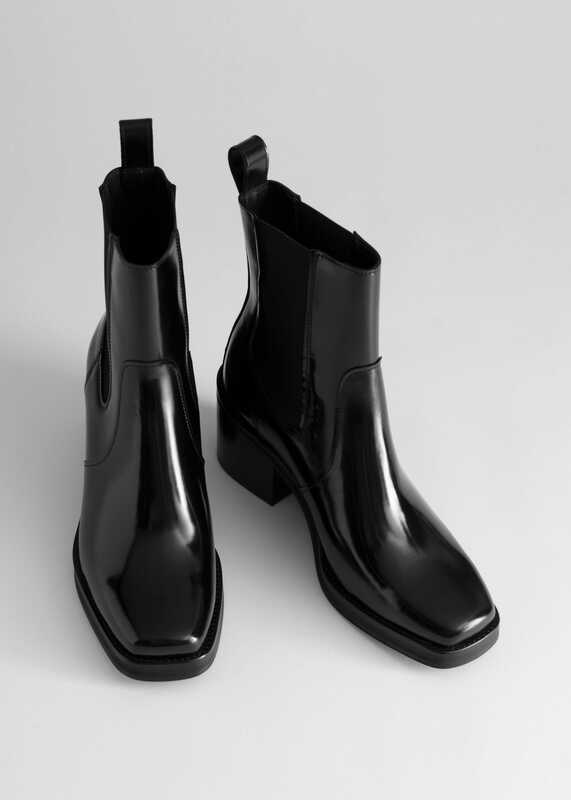 No wardrobe is complete without a pair of classic black boots. & Other Stories Square Toe Leather Boots, $179, available at & Other StoriesPhoto Courtesy of & Other Stories. If you’re looking for an end-all-be-all sweater, this is it. 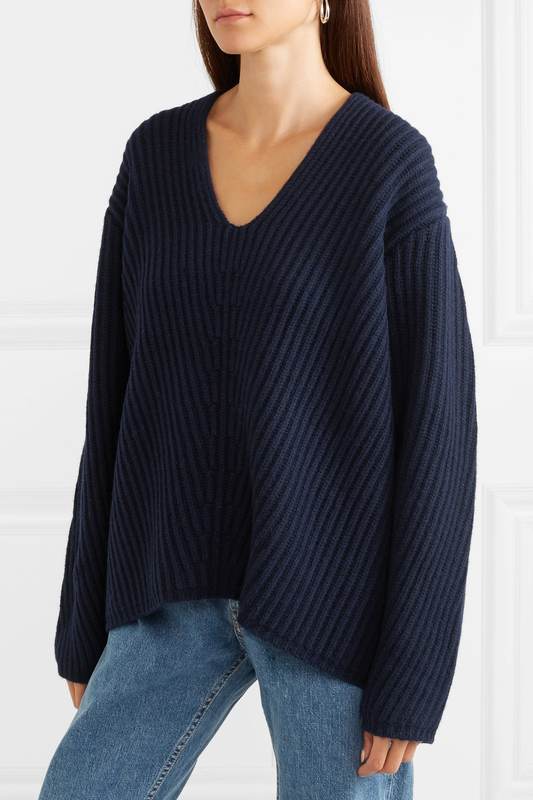 Acne Studios Deborah Ribbed Wool Sweater, $390, available at Net-A-PorterPhoto Courtesy of Net-a-Porter. Despite its seeming simplicity, a white button-down can be a tricky buy. 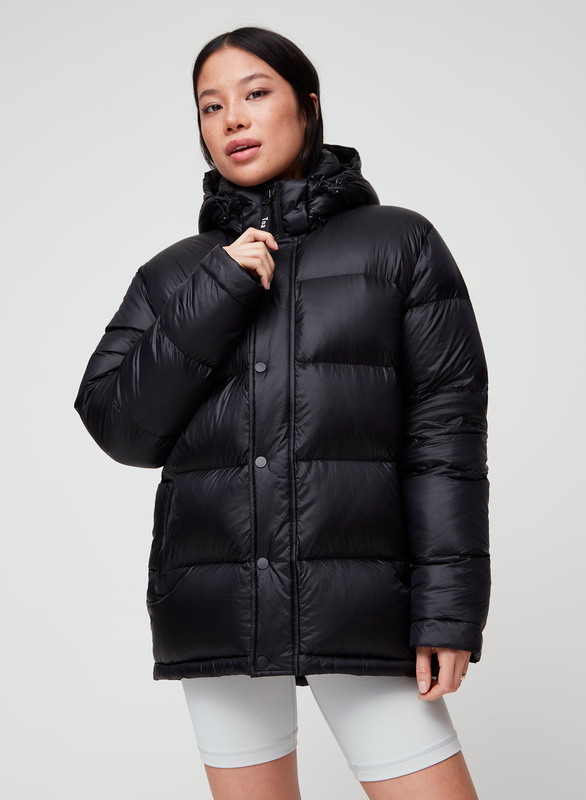 You want it to be slightly oversized, structured enough as to not wrinkle immediately upon wearing and at a price that won’t break the bank. This one checks off all three boxes. 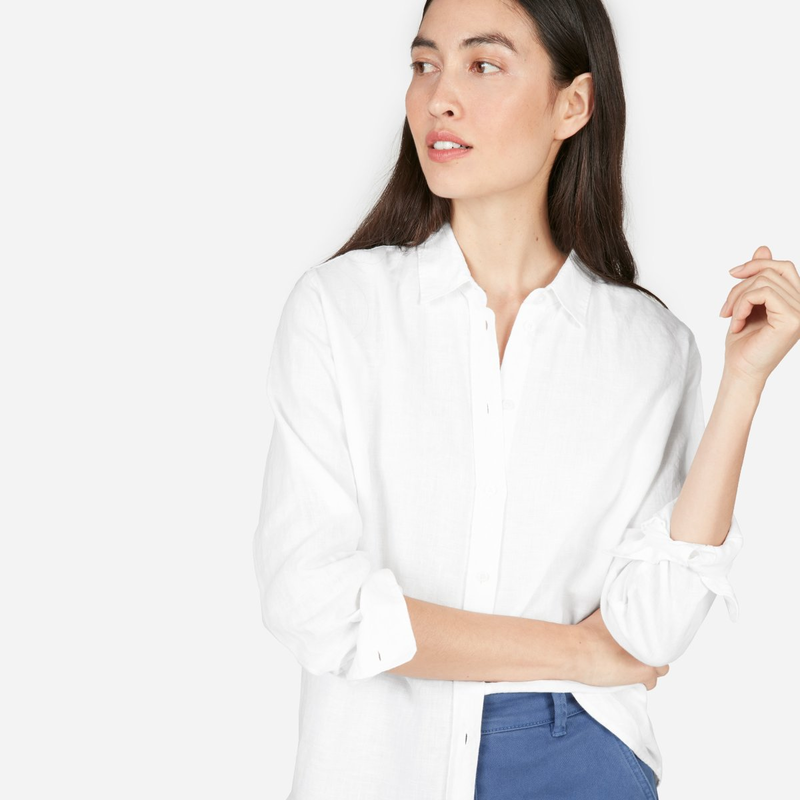 Everlane The Linen Relaxed Shirt, $58, available at EverlanePhoto Courtesy of Everlane. After all, it is pretty chilly outside right now, no matter where you live (for the most part). TNA The Super Puff, $228, available at AritziaPhoto Courtesy of Aritzia. 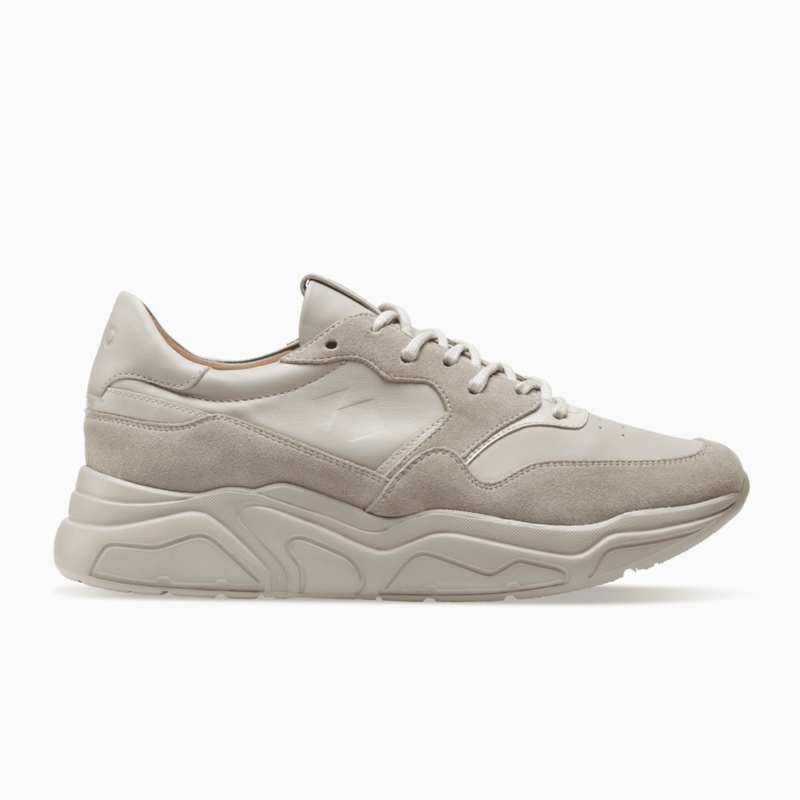 It’s official: chunky sneakers have gone from trendy to necessary in less than one year. You can’t beat a sweater dress for transitioning from winter to spring. 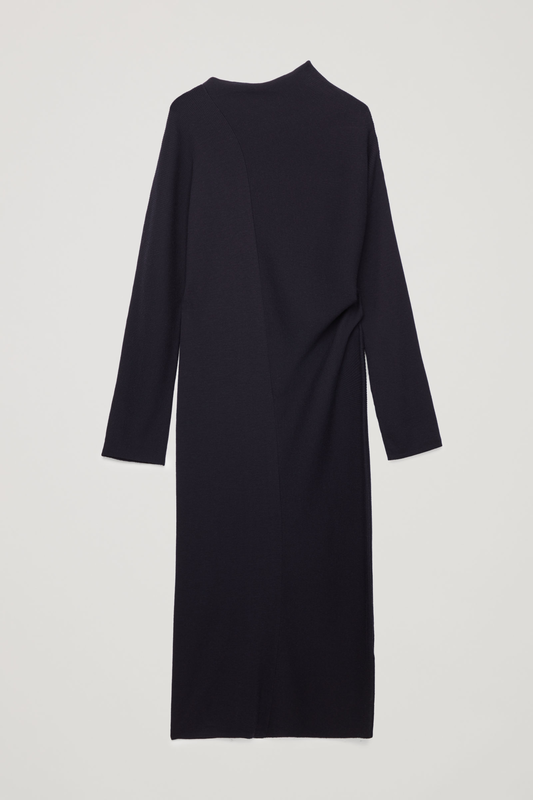 COS Draped-Neck Ribbed Wool Dress, $175, available at COSPhoto Courtesy of COS.
From the office to post-work drinks, this skirt can be worn just about anywhere. Maryam Nassir Zadeh Ines Contrast Stitch Skirt, $561, available at Need SupplyPhoto Courtesy of Need Supply. Early morning yoga’s got nothing on this workout set. Girlfriend Collective Ivory Compressive Classic-Rise Legging, $68, available at Girlfriend CollectivePhoto Courtesy of Girlfriend Collective. Adding a split-leg detail to a pair of black trousers makes this wardrobe necessity just a little more fashion-forward. 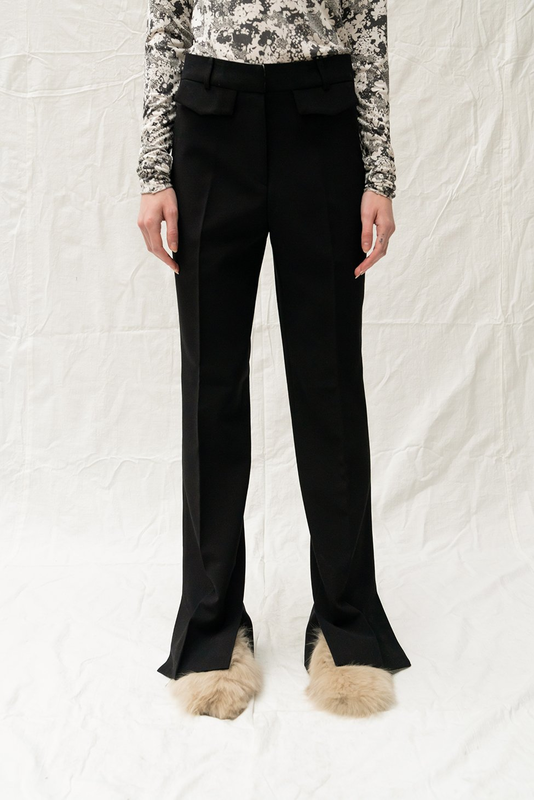 Loeil Akuchi Pant, $126, available at LoeilPhoto Courtesy of Loeil.